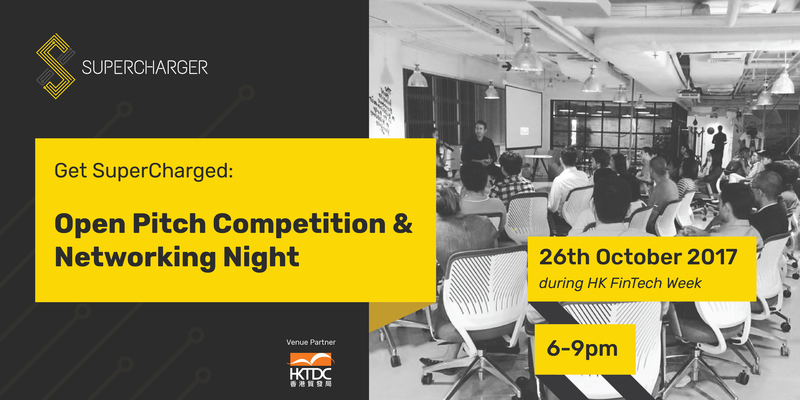 SuperCharger invites you to a night of pitches and drinks with our alumni startups, partners and friends on 26 October at HKCEC! The ‘Open Pitch Competition’ is a fantastic opportunity for any startups in the Fintech space to showcase their products and get themselves noticed in front of a relevant audience. The winner, in addition to a surprise award, will have an opportunity to be connected with our exclusive network of VCs and partners. If you are a startup building a solution for FinTech, RegTech, InsurTech or Cybersecurity and have a ready elevator pitch you'd like to share -- all you need to do is sign up at hello@fintechsupercharger.com and show up with your pitch deck on the day! We will pick the first 12 companies to go on stage.